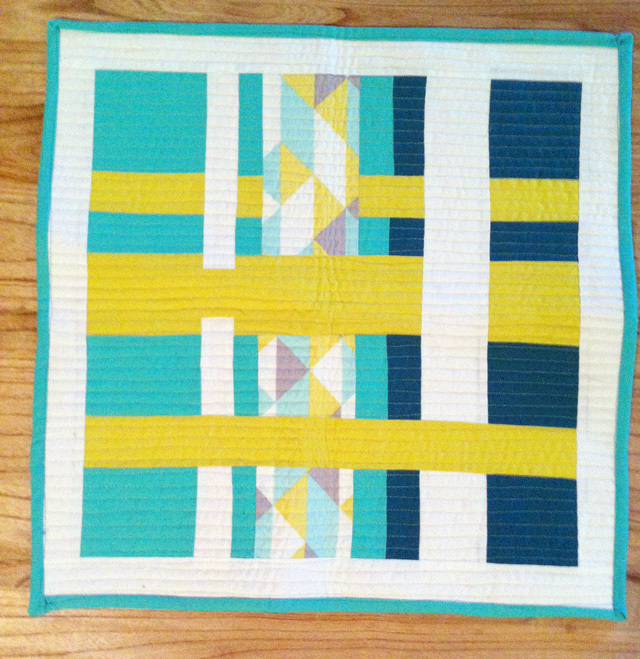 CityCraft is hosting Modern Patchwork Mini Quilt club – a monthly meet-up to showcase mini quilts made from unique patterns in Modern Patchwork by Elizabeth Hartman. Our second meeting was last night, I was running late and caught the tail end of it – as in I ran in to show Callie my mini quilt, she snapped a pic and then I headed home due to the fact everyone else had already left. Initially, the pattern called for 9 swatches of fabric (you can view Elizabeth’s write-up here), but the graphic designer in me decided to simplify the pattern and only use 5 colors. 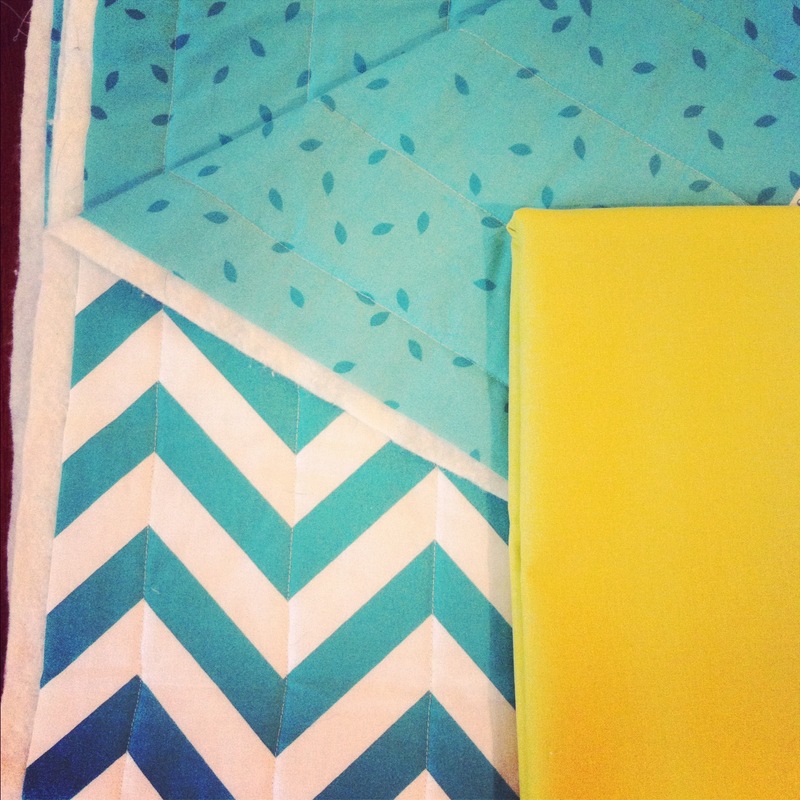 I have to say, I’m really happy with the way it turned out and can’t wait to make a full size quilt. 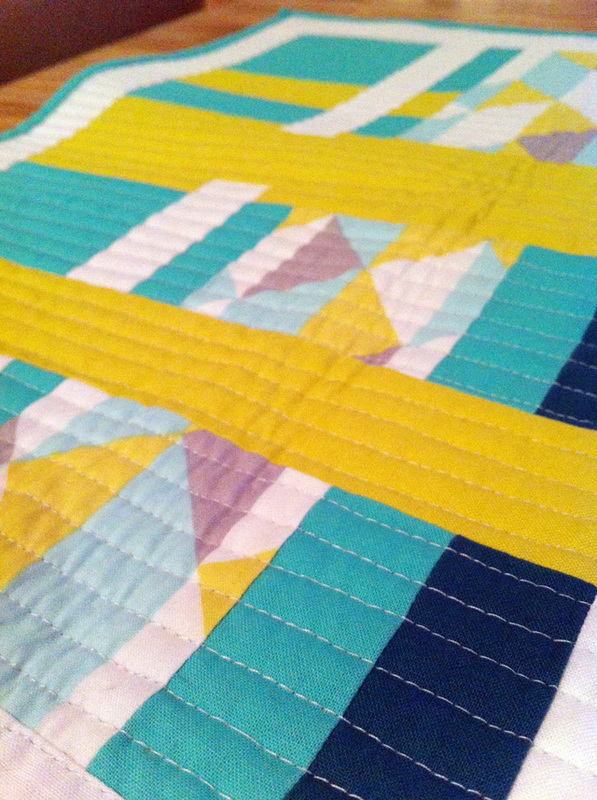 When it came time to quilt the block, I decided to keep it simple and use straight line stitching. 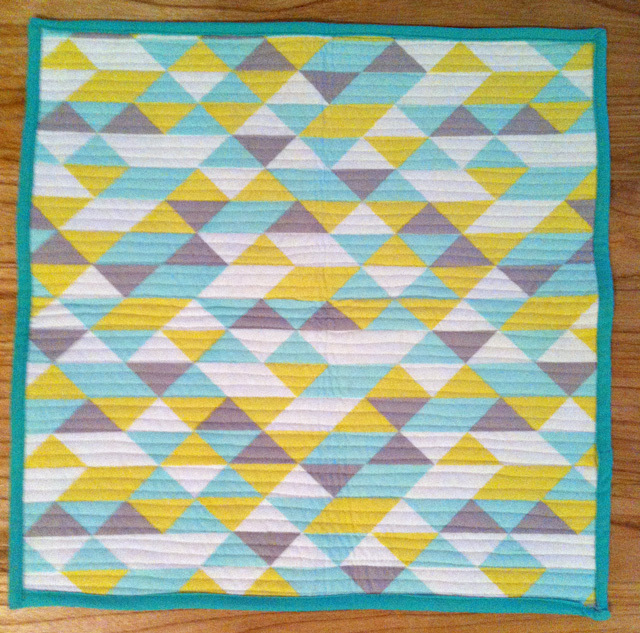 Didn’t take as long as I thought and will more than likely use straight line stitching for the full size.